The Electric Swing Circus is a six-piece electro swing band based in Birmingham, UK. Organized as a cooperative they became a You Tube sensation with their video performance of ‘Everybody Wants to Be a Cat’. While the dieselpunk community has adopted Electro-swing music as "Dieselpunk Music", ELC certainly fits within the definition of Dieselpunk. As they say at their web site, the band “fuses cool 20′s swing with fiery electro beats”. Electric Swing Circus has a well-earned reputation for their outstanding live shows in which they mix live music with dance and circus acts. 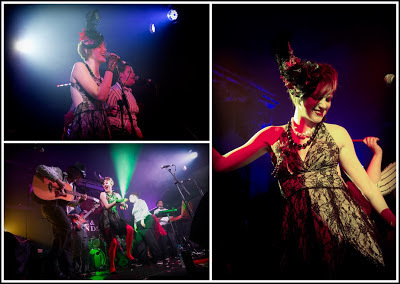 In fact, ELC received the award for the ‘Best Live Act’ in the Electro Swing Peoples Favorite Awards 2011. All of this adds up to make their highly anticipated newly released self-titled debut CD so exciting. I’m going to review just a few tracks from their new CD that I consider outstanding. Trust me; it was difficult for me to limit myself to just these. Swingamajig is a high-octane song that add layers and layers in such a creative manner. If this song doesn’t make you want to get up and dance then you must be dead. Sheer fun! This song is wonderfully creative. 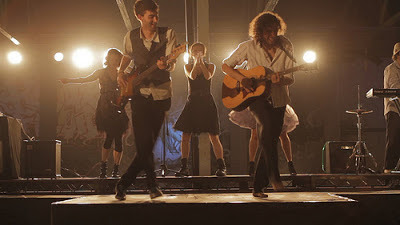 There are several haunting moments in the song where it breaks from the electro-swing sound and briefly goes into an alternative rock style that’s reminiscent of Evanescence. Electric Swing Circus makes a strong left turn in their style with this song. 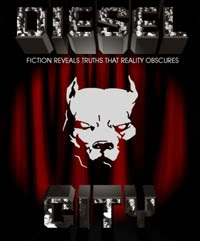 The song is a fantastic Dark Cabaret song that pays tribute to the Diesel Era movie classic ‘Harvey’. 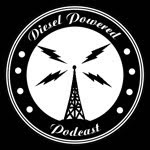 Minnie is a wonderful reimagining of the Diesel Era classic Minnie the Moocher. Though it starts with traditional lyrics, they rewrote the rest of the lyrics in such a way as to provide an intriguing twist to the song. In addition, the song has a wonderful mix of horns with an electronica sound. It’s very creative and well made. Put Your Smile On is another break in the style of the CD and it works perfectly. It’s wonderful in its simplicity that really shows off the vocal talents of the singers. I’ve heard several remakes of this song and this has to be the best. It starts out teasing you and then breaks out into a full-blown dance song that incorporates a wonderful mix of horns, drums, electro-swing electronics and guitar. When it hits its climax near the end I found myself singing along and wanting to dance. Meow! Every track on this CD is great and I could go on and on about each one. In my opinion, Baz Luhrmann didn’t need Jay-Z to create his soundtrack for the Great Gatsby. He should have turned to Electric Swing Circus, which would have created a much better soundtrack for his movie. My advice is don’t waste your money buying the official Great Gatsby soundtrack. Instead, download Electric Swing Circus’s new CD. You’ll be glad that you did.